Tapan Mohan Chatterjee was born on 3 February 1896. He was renowned lawyer and researcher and his grandfather was Dwijendranath Tagor. He was a barrister in Calcutta High Court until 1940. Later, he joined his father's firm Silisitar. He had a deep interest in the history of India. His famous historical books are- Palashir Yuddha, Palashir par Boxer. 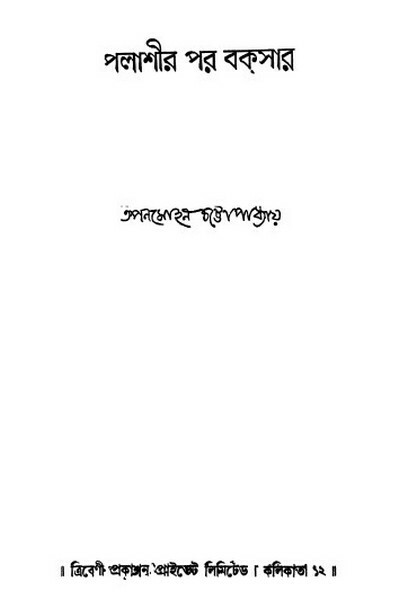 Other works are- Smrtiranga, Bangla liriker gorar kotha, Hindu iyine Bibaho. Today I'll share his famous historical ebook Palashir Par Boxer. 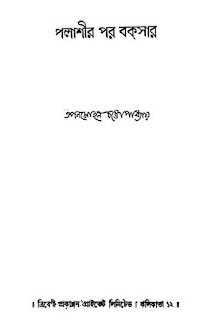 View or Read This eBook Palashir Par Boxer.